When you are surrounded by legal experts that work and research in the field of art and cultural heritage, there is a common understanding of what art is, but not a clear idea of how to define it. 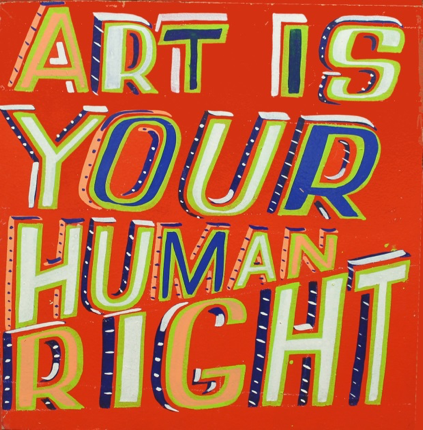 They all talk of ways of protecting it, tax it, auction it, make sure its international regulation is ideal, but rarely do they think: What is art? It is quite a complex challenge, to define art. And that was my task at the Social Legal Studies Association Annual Conference this year. To explain to a group of legal experts that to protect art, we have to explore the philosophy, sociology, anthropology, history and theory or art. So, what is it? Is art a thing, an expression, a reaction, a discourse, a right? From Aristotle to contemporary thinkers, many have suggested that there is a human instinct to produce and to enjoy artistic experiences or expressions. [i]But how to define such natural instinct?When we really enjoy something – some thing we believe to be well done and particularly beautiful – like a car, a house, a table, or even a person, we tend to refer it as ‘a piece of art’, highlighting a distinct characteristic that it has from everything else. Is art then beauty? The distinguished art historian Ernst Gombrich used to say that ‘there really is no such thing as Art. There are only artists.’[vi]What Gombrich implies is that art is a social construction, a product of persons and peoples, not a self-existent element that we find in our environment. He defies this belief that art is not confined to our culture given that it ‘is a natural, universal phenomenon.’[vii]For Gombrich, art is nothing more than the product of persons, but which has been acknowledged or recognized by others – as a society – as art itself. Some may argue that the important question is not what is art and how it is produced, but what is mankind before art; how mankind is aware that it is feeling – enjoying, in its broadest meaning – before a work of art. [viii]In the end, art is a way – individually and collectively – of expressing our humanity and the meaning assigned to our existence and development. [ix]It is a manifestation of our culture, which is shaped by our society at any given time. And art is intended to be enjoyed, which means that it is intended to move and generate a reaction or emotion in the viewer. To be able to enjoy our culture, hence, one must be able to enjoy art. Art has existed for over 40,000 years; it has had different functions and different forms. But it has always been essential to the human condition, present in every community. Does this continuous existence make it a human right? Understanding the meaning of art solves this question, and the paper I presented at the SLSA annual conference pretends to understand that art, or artistic expressions in general, is much more than a thing, it is a human right. [i]Denis Dutton, The Art Instinct: Beauty, Pleasure and Human Evolution, Bloomsbury Press (2009) at 47. [iii]Howard Morphy, Art as Action, Art as Evidence in The Oxford Handbook of Material Cultural Studies, edited by Dan Hicks and Mary C. Beaudry, Oxford University Press (2010), at 272. [iv]Howard Morphy, Art as Action, Art as Evidence in The Oxford Handbook of Material Cultural Studies, edited by Dan Hicks and Mary C. Beaudry, Oxford University Press (2010), at 269. [v]Diarmuid Costello and Jonathan Vickery, Art: key contemporary thinkers, Berg Publishers (2007) page ix. [vi]Ernst Gombrich, The Story of Art, Phaidon (2016) at 15. [vii]Denis Dutton, The Art Instinct: Beauty, Pleasure and Human Evolution, Bloomsbury Press (2009) at 64. [viii]Rubén Martínez Dalmau, ‘Arte, derecho y derecho al arte’, Revista Derecho del Estado No.32 (2014) at 44. [ix]Farida Shaheed, Report of the Special Rapporteur in the field of Cultural Rights, ‘The right to freedom of artistic expression and creativity,’ (2013) paragraph 2.